Are you searching for the best air conditioner ? Then your search ends here ! Summer offers have already arrived and it is just the right time to buy a new air conditioner as almost all the companies have launched their 2019 range that is packed with the best of the features. We have done the tedious work of finding the best AC in India so that you can have a comfortable sleep after your return working for the full day. 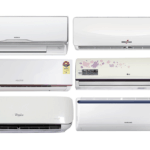 Go ahead and buy one of these best in class split air conditioners currently available in India. ⇒ You just can’t go wrong with this AC , its just perfect. No other AC in this whole list can match this air conditioner by LG. This is the AC I would buy for my personal use. ⇒ 5 Star BEE Rating , Copper Condenser , Inverter AC all these 3 features that makes an AC super awesome at one place. ⇒ The body of air conditioner indoor and outdoor unit is tough enough to withstand all harsh weathers without rusting. ⇒ Check and troubleshoot any issues easily with LG Smart ThinQ App on your smartphone. ⇒ DualCool Technology , which enables effective cooling at even 52 degree Celsius. ⇒ Also equipped with Anti-bacteria Filter and Dust Filter. All in all a wonderful offering by LG , hope my readers can make the most of it. Looking for a more budget option ? but still want 5 star rating + inverter AC ? Then your looking for the right model. ⇒ Voltas makes robust and simple AC’s , you won’t be getting features like app control or dualcool like in the above LG option. ⇒ But you will still get copper condenser , inverter AC and a 5 star energy rating. ⇒ There is also an inbuilt filtration system that remove allergens, harmful particles, and even odors from your home. Still not satisfied ? Looking for even more robust offering ? Then Blue Star is here. One of the most trusted brand in AC world. 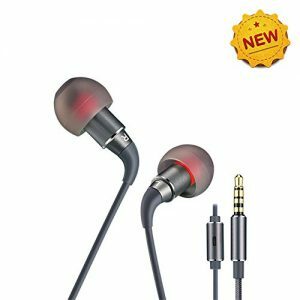 ⇒ It’s a bit more pricey then the above options , but you will be surely getting even better quality with your extra money. ⇒ There are only 2 brands which compete when it comes to built quality. The one is Blue star and other one I will mention next in this list. 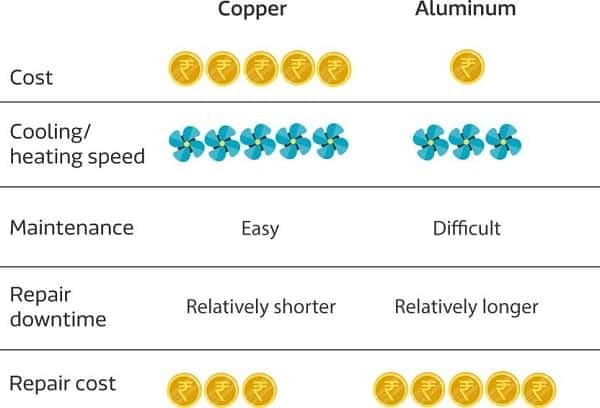 ⇒ 5 Star BEE Rating , saves upto 25 % of your electricity compared to a Non inverter 1 star AC. ⇒ Equipped with Auto Restart and Sleep Mode. 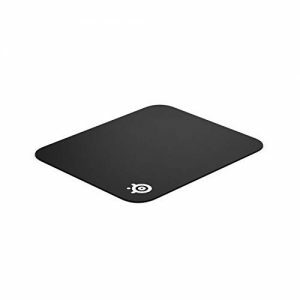 This is a wonderful AC we picked after 40 hours research , it’s going to sell fast and will probably be all sold out by the starting of summers 2019. ⇒ Daikin offers a robust built quality , an AC that will last for years and years. That’s why many people prefer this brand. This one comes with copper condesner. ⇒ Usually Daikin products are high priced and not easily available online. I would say grab it while you can. ⇒ This comes with Power Chill Operation, a PM 0.1 Filter, and Coanda Airflow. ⇒ Coanda Airflow ensures that the air draft does not directly fall on your head and is distributed evenly in room. ⇒ Econo mode for saving electricity and features like auto restart, sleep mode are built in. Still reading , you haven’t bought any for above ? Don’t say that you want even better ?? Damn I got one more for you. O General yes , this is the king of the AC world and the brand which I got installed in my own bedroom. 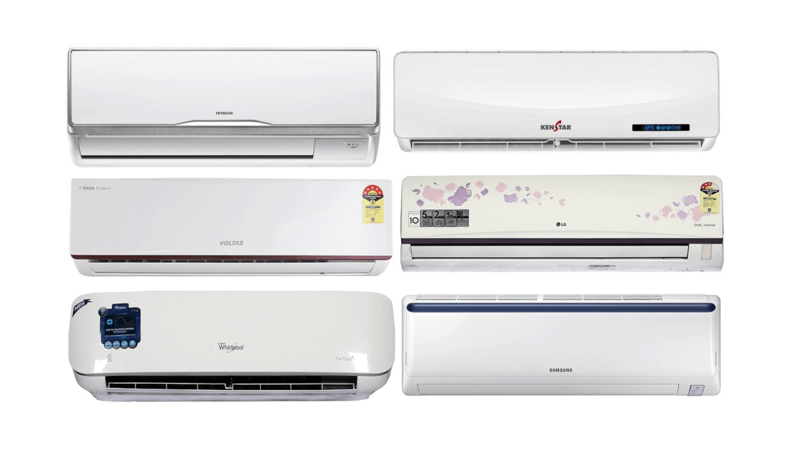 This brand AC’s are pricier then all the above options but nobody offers better quality the this , seriously nobody. ⇒ Usually this brand AC’s are very rarely seen online , but if you find one then just get it. ⇒ Simple easy controls , nothing complex. ⇒ Although its a bit pricey , its comparable to inverter AC’s of LG , Voltas etc. ⇒ This is the type of AC that you buy again and again , while recommending your relatives also. Don’t trust me just try it once. ⇒ If your on a budget then this is for you. Getting a 1.5 Ton split AC at this price and that so with copper condenser is a steal. 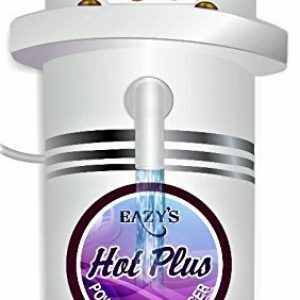 ⇒ It has all the latest features like – Anti Dust Filter, Auto Restart, Dehumidification, 4 Way Swing and Turbo Cooling Mode. ⇒ You won’t get a 5 start inverter AC at this price from any other brand..
⇒ Offering 1 year warranty on product and 5 years warranty on compressor. ⇒ One of the last pros for this AC is it’s awesome design. This AC has been picked as number two after a lot of research. If you are looking for an inverter AC then buy this. 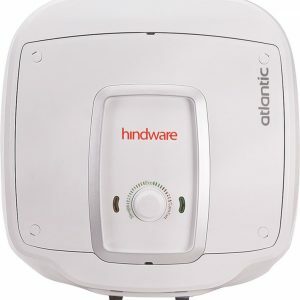 ⇒ One of the most silent AC in this price range with Himalaya cool technology and power saving features. ⇒ Being a dual inverter AC , it really saves a lot of electricity consumption. Plus you don’t need to buy a stabilizer along with it. ⇒ 100% copper condenser , which ensures that your AC will last way longer then an Aluminum condenser AC. ⇒ This is the number two AC in our list , featuring a robust body , brand reputation and lot of cooling features. It will last for years without hassle. ⇒ It is a very simple and robust AC. ⇒ Auto restart , Copper condenser , Sleep mode features are built in. ⇒ TATA is a brand you can trust , looks good on wall. ⇒ This AC is very pocket friendly and provides a bang for your buck. ⇒ Its a little big in size and provides quick cooling , two swings ( horizontal and vertical ) are available. ⇒ Yes , you have to pay installation charge separately and many people complain about it , but that you have to pay even if you buy offline. ⇒ Both outdoor and indoor apparatus is extremely silent , which is great if you like to read books in silence. ⇒ This uses the Copper condenser , which is better as compared to Aluminum condenser. ⇒ Being an inverter AC , it does not require a stabilizer. ⇒ Providing well behaved and good installation service. ⇒ Auto restart , sleep mode and PM 2.5 filter are also inbuilt. ⇒ This is also one of the best AC to buy this summer , jump on it before it’s sold out. ⇒ Super fast cooling and timely installation. 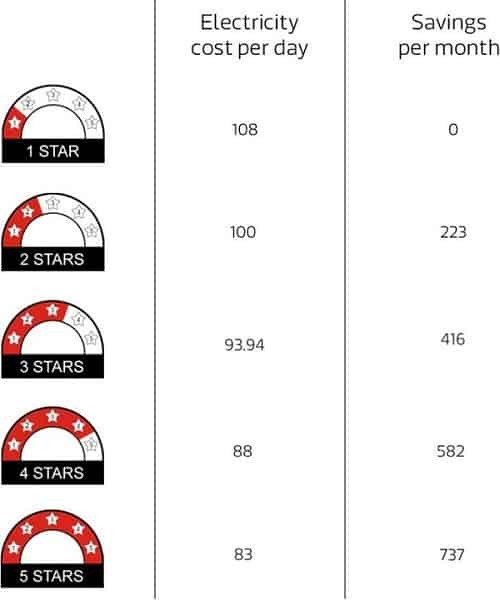 ⇒ Very reasonable electricity consumption being an 3 star inverter AC. Note that inverter AC’s are better in energy savings then 5 star AC’s. 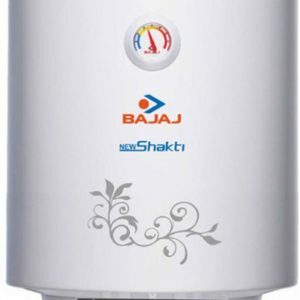 ⇒ It has 100% copper condenser for long lasting and comes in premium white colour. ⇒ Noise free operation with all latest features like Auto-restart , Timer , Air Flow Direction Control, Anti Freeze Thermostat and 6 Filters. It’s undoubtedly the most pathetic brand (Hitachi) !!! I am regular visitor of your website and i really found this article helpfull in this summer. People nereby will have the knowledge of buy best air conditioner in india.